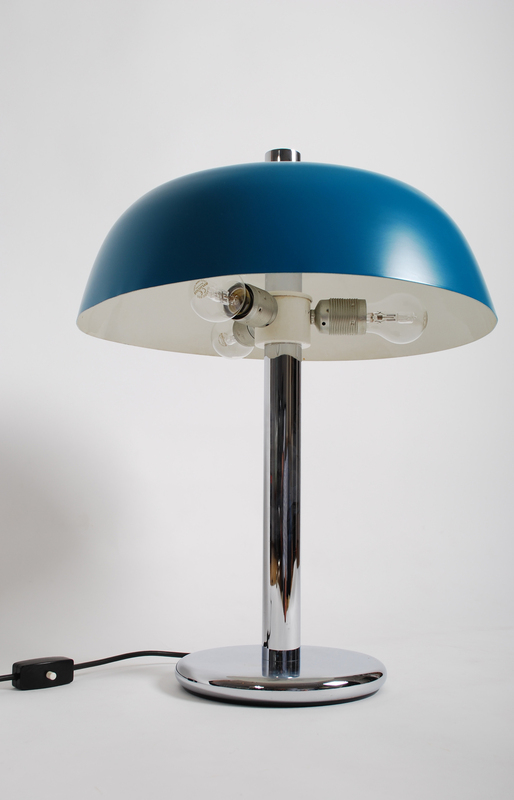 Hillebrand table lamp 60's; Lamp on chrome leg with metal shade colored in blue. Manufactured by Hillebrand, Germany. Excellent condition. Lamp on chrome leg with metal shade restored and colored in blue. Manufactured by Hillebrand, Germany.